If you’ve been watching Ray’s latest series, Survival with Ray Mears, and are itching to give tracking a go yourself, take a look at our Woodlore Tracking course. Run from an expedition-style camp in East Sussex, the Woodsense course aims to sharpen your senses, helping you to develop powerful observational and deductive abilities. 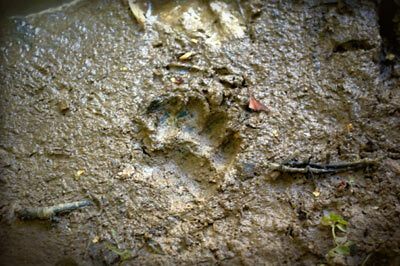 You will learn various tracking methods, as well as how to get close to animals while remaining undetected. This entry was posted in Bushcraft Courses & Expeditions on May 6, 2010 by Woodlore Team. Woodlore, The School of Wilderness Bushcraft, was founded in 1983 by the British Bushcraft expert Ray Mears.